Anyone who knows the city of Kampala well enough is sure to have been to, or at least heard of a place called Wandegeya. This place can best be described as one of the places in Kampala that will serve you with the right experience to make you love and hate the city of Kampala in equal measure. One second you will love the resourcefulness it offers and the next moment you will curse the confusion that usually defines a typical day in Wandegeya. 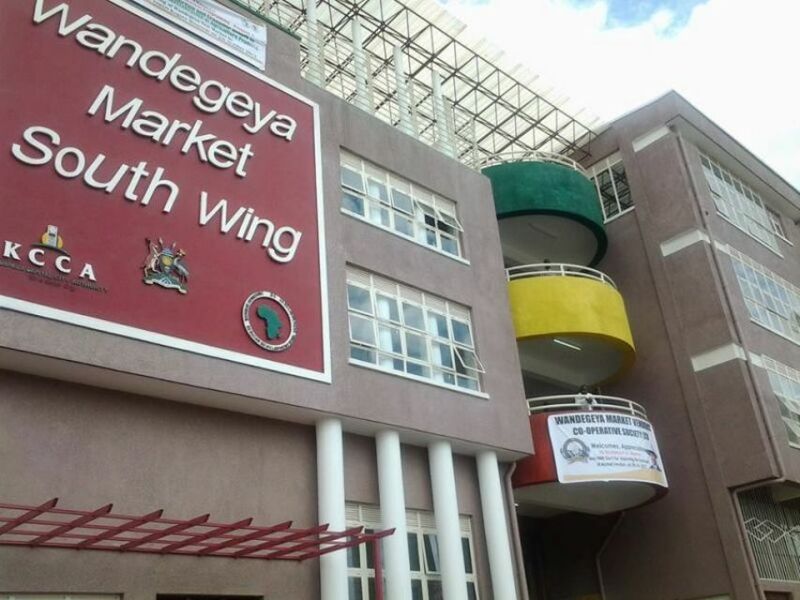 The history of Wandegeya (which for purposes of this blog we shall call Wandegs) has to do with the birth and growth of a little neighbourhood that was originally inhabited by weaver birds, known in the local dialect as ‘Endegeya’. As such Wa-Ndegeya simply refers to ‘a place that belongs to the Weaver Birds’. Before the 90s crept in and brought with them Shaba Ranks concerts, massive development, presidential elections and modernization, Wandegs was just another little town next to the hitherto great Makerere University. As the 90s came by, it slowly grew into one of the largest slums in Uganda. 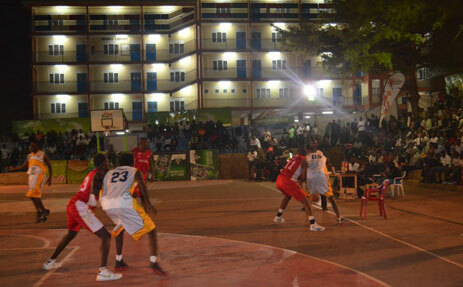 Its proximity to Makerere University meant that it turned out to be the go-to place for University students. They needed cheap eating places, bars selling cheap intoxicants, a collection point for prostitutes with downtown prices (pun intended), and a place where they could get cheap accommodation outside the University campus. Naturally, Wandegs was a good candidate and from them on, it became customary that if you needed anything and you could not find it within the University, you would probably get it in Wandegs – cheaply. The very first time I visited Wandegs, I was way too young and too innocent to know what was going on around me. Most of what happened back then was narrated to me by my history loving parents who often volunteered stories from their glory days at the University. By the time I visited Wandegs as a mature adult able to tell the difference between a prostitute and third year student at the University, it became apparent to me that this place called Wandegs was a little place that lived a life of its own – oblivious of what happened elsewhere. Even today as Wandegs morphs into a more modern place, there are many attributes of its past life that still linger around – attributes that define it. As long as University students are around, the place is simply a buzz of activity and it never ever goes to sleep. One has no need to go to the city center or anywhere else for that matter because everything one needs can be found right there – in Wandegs. Whether you need a copy of the latest Hollywood Blockbuster movie, a VISA to Russia, a land title, fresh oranges or a drink with an obscene alcoholic content, you will easily get what you want in Wandegs. Of course a few phone calls might have to be made here and there but overall, the resourcefulness of Wandegs is simply mind-blowing. It is safe to say that if one day the dwellers of Wandegs came up with an idea of secession, they would have every reason to raise hell. A bank here, a hospital there, a restaurant next to it, a brothel a few blocks away, a School behind the Mosque, a Church just after the Market, a hotel besides the salon … everything is in Wandegs. For the duration of the time I was at Makerere University, the most uttered words on Campus were benching, retake, fresher, campus night, Bazaar and the king of them all – Wandegs. Wandegs always ranked high because whenever there was a strike at the University, Wandegs was where folks went to take solace. Strangely, at about the same time good mannered students would be rushing to Wandegs for solace, opportunistic students would also take advantage and head to Wandegs for entirely different reasons. 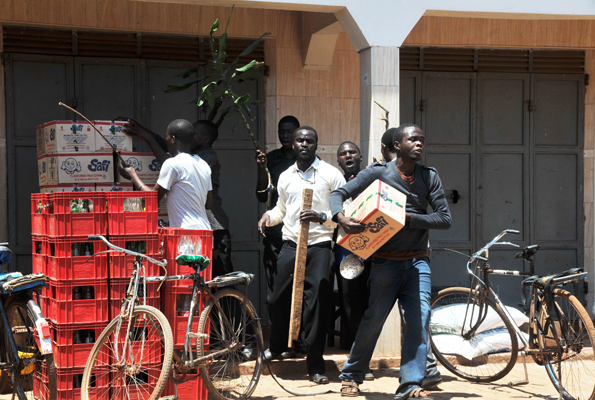 You see, with the various shops selling gadgets, clothes, food, alcohol and all sorts of attractive things, Wandegs was a prime candidate for looting – an activity Makerere University students learnt, practiced and perfected for whenever there was a strike. Fortunately for the Wandegs business owners though, the Police usually responded after a few minutes since the police station is just across from Wandegs – almost a stone throw away. This however did not stop overzealous striking students from engaging the police in running battles – which usually meant free entertainment for the people in Wandegs. Depending on the response time of the cops, Students at the University had several things on their to-do list whenever a strike came along. Their agenda usually had among other things, making their demands known to the University administration, explaining their grievances to whoever cared to listen, complaining bitterly to the Government through the press and of course looting. Wandegs was the greatest victim of the looting. With time, places like Kikoni started suffering the same fate especially after the cops beefed up security in Wandegs. One of the reasons why Wandegs as a little community is important to the history of Uganda is because of something known as the Rolex. Once again, if you know Kampala well, you will know that the Rolex being referred to here is not the sleek expensive watch endorsed by the Tiger after he emerged from the Woods of infidelity. The Rolex being referred to here is the legendary staple food of most Campus students – both rich and poor. It basically contains a Chapati, eggs, cabbages, tomatoes, onions and whatever else one would like to add from sausages to chaps and kebabs. Basically, it is the ultimate meal of any campuser. Naturally, many single folks find this meal somewhat appealing not just because it is quick to prepare (or wait for at the rolex stand) but also because it is rather cheap. My facts on the history of the Rolex are inconclusive but tentative results point to the possibility that the rolex was invented in Wandegs. Another item that Wandegs probably boasts of having in extreme quantity is the TV Chicken. True, you will find TV chicken sold almost everywhere today but the habit of dealing in this chicken was probably hatched somewhere in Wandegs. Anyone who has ever been to Wandegs in search of car spare parts, slimming pills, employment opportunities or anything else will admit that this is one of the few places outside the city center that might have solutions after all. True, there is a drive to modersise the place and turn it into a modern community but the spirit shall never die. The spirit of Wandegs shall live on not just in the people who dwell there but in every person who has ever been to this wonderful place. Your are right in your analogy, at one time i was tempted to call it it the Capital city of Kampala especially when Bermuda triangle still existed because one would fail to tell the difference between day and night in these bars.